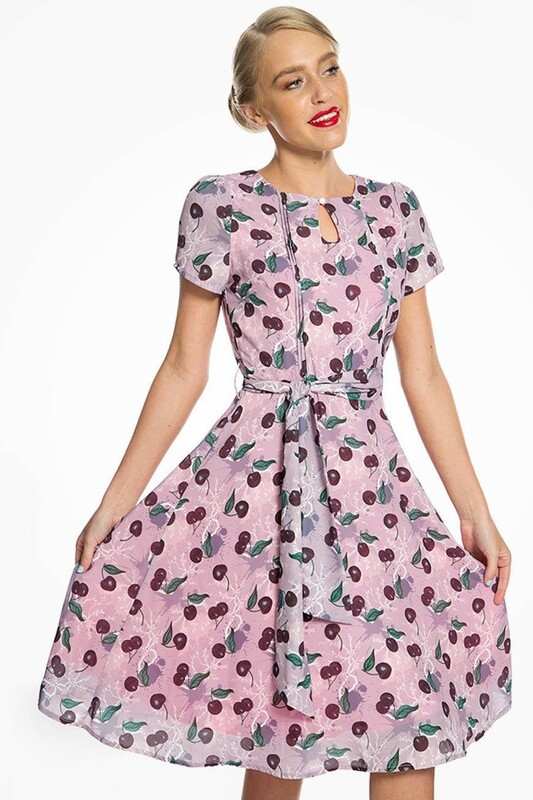 Cute as a button and sweet as well, you guessed it, this Cherry Print Tea Dress is all you need for an Autumnal power print this season. The gorgeous berry tones are totally on trend and the additional detail of the cut out section, pearl button and pleated bodice make this a 1940s dress to impress. When you have worn this fruity printed dress out to town with heels and victory rolls, wear it in the day with converse and a high pony tail for a totally different look.